The mission of the Japanese Red Cross Society at the temporary hospital Hôpital Bénévole 4 bis, in Paris, during WWI. 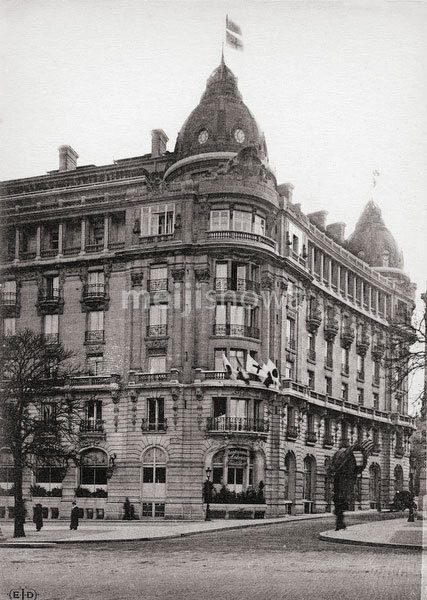 The hospital was located at the Astoria Hotel at rue de Presbourg. The Japanese Red Cross ran it from February 15, 1915 (Taisho 4) through July 1, 1916 (Taisho 5). Notice the Japanese and Red Cross flags.